Plastic machining is an essential part of the plastic engineering process here at Vaplas. Our customers have high expectations of the quality of the components they purchase from us, and we are proud of the reputation we have earned in over 20 years of plastic machining and manufacturing. Precision plastic machining from Vaplas offers you first class quality components so you can be confident that your finished product will satisfy the demands of your most exacting customers. You’ll find your production speeds improve because components from Vaplas have undergone stringent and thorough quality control tests to make sure that they have a smooth finish with no rogue crumbs or threads of the plastic used in their manufacture. We have state of the art CNC Machining Centres and CNC Lathes that can do any type of machining and batch size complemented with on site CAD-CAM facility with 4th-axis control to produce a range of complex parts. Our CNC Routers are the best in industry featuring 5th axis machining to cope with most designs. 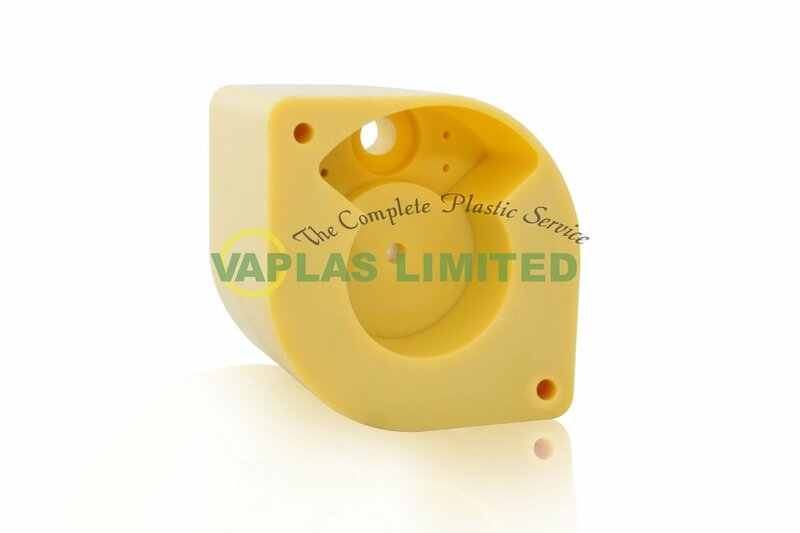 When you want quality plastic machining get in touch with Vaplas. Call us here at our extensive facility in Normanton, or get in touch by email. We’ll be happy to discuss your requirements with you. Experts in plastic machining, we use the latest technology and machines to manufacture plastic components for all types of industries. We’ve supplied parts to the aerospace, agricultural and automotive industries to name a few. A solution orientated company, there are a range of methods we use for our plastic machining. This includes CAD-CAM, 3D modelling, 4-axis machining, milling, turning, cutting, drilling, gears, rollers, bearings, bushes and close tolerance applications. If you require plastic machining for stock material, complex machine parts, a one off bespoke piece or a large batch quantity, we can help. All components are tested to the highest of grades, certified and inspected before being delivered. As well as in-house facilities, we can also carry out on-site work including repairs or replacements for pipes and systems. Please contact us to discuss this in more detail. Need to know more or have a question about plastic machining? We’re more than happy to help. Please contact one of our experts at Vaplas to discuss your requirements. We will go through the range of plastic machining methods we use, feeling confident that we’ll have a solution to match your needs. You can contact us by calling 01924 220 050. Vaplas Limited holds no liability for file provided by third party.